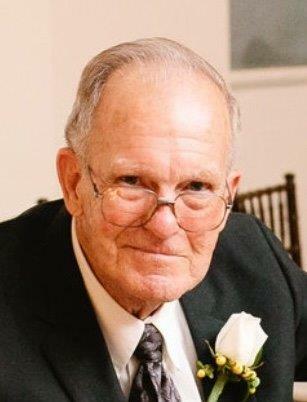 Akillis (Sonny) Moorman Lawler Jr., 87 years old of Hamilton, AL. passed away March 18, 2019 in Jonesboro, AR. Visitation will be Saturday, March 23, 2019 1:00-2:00 pm at Akins Funeral Home, Russellville, AL. Funeral service will immediately follow at 2:00 pm in the Chapel of Akins Funeral Home. Burial will be in Mt. Olive Cemetery. Mr. Lawler was the owner of Hamilton Bowling Alley for 12 years. He retired from the U.S. Postal Service with 23 years of service. He also served with the U.S. Navy for one year and three years with the U.S. Air Force. Sonny was born July 17, 1931 in Birmingham, AL to Akillis and Eula Lawler. He was preceded in death by his parents; sisters, Mary Price (Jack), and Lousie Nash (James); and his brother in law, Miles Pierce. Sonny is survived by his wife, Kathleen A. Lawler; his two daughters, Jackie Petree and Joan Burcham (Tim); one son Al Lawler (Karen); one sister, Jimmie Nell Pierce; four grandchildren, John Petree (Jessica), Matthew Petree (Casey), Hannah B. Ogard (Tyler), and Megan B. McBride (Stephen); his three great grandchildren, Isaiah, Lily, and Bennett; and a host of nieces and nephews. Pallbearers will be Tim Burcham, Larry Pierce, John Petree, Tyler Ogard, Stephen McBride, and Darren Anderson.